Get ready for a cinephile takeover of Station North. The marvelous Maryland Film Festival is back tonight (through May 6). Here’s a great chat I had with festival director Jed Dietz and filmmaker Matt Porterfield. And below are capsule reviews of a few of the titles playing at the fest, including Porterfield’s Sollers Point. Sollers Point might be local auteur Matt Porterfield’s most commercial film to date, while still retaining his astonishingly lived-in sense of working class Baltimore. Our hero is 26-year-old Keith (McCaul Lombardi), sweet, but not too bright, and handsome in a coiled, dirt-bag kind of way. He’s just out of Jessup and, after 9 months of house-arrest, is trying to stay clean, but forces are conspiring against him. All around, he encounters his past: disappointed loved ones and relatives, pissed off ex-girlfriends, gang-bangers who want him back in the fold. And he’s a master at self-sabotage, too, always seeming to take the wrong path when life offers him a crossroads. Lombardi plays Keith as taciturn, wary, and wounded. You sense the futility in rooting for him, but you do all the same. 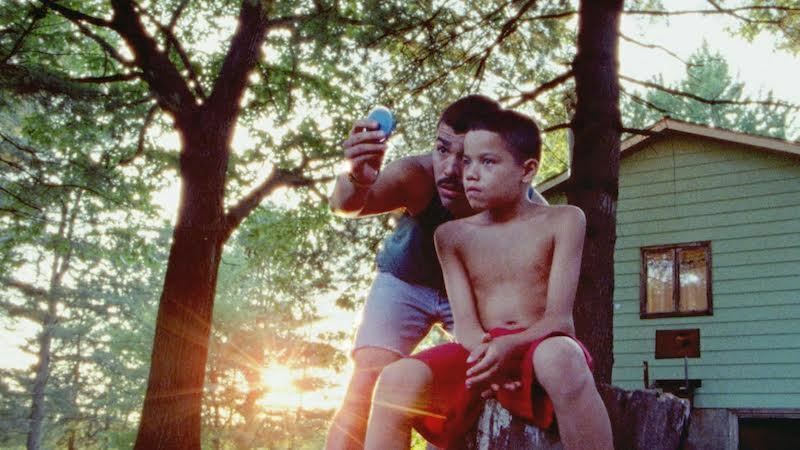 Jeremiah Zagar’s dreamy coming of age film, based on Justin Torres’ semi-autobiographical novel, casts a hypnotic spell. In upstate New York, three young brothers are so close, they almost breathe as one. They all look alike—loose-limbed and shirtless, with matching dark-haired crew cuts—and they run free through their ramshackle house and neighborhood. All three brothers are rowdy and spirited, but the youngest, 10-year-old Jonah (Evan Rosado), is the most sensitive. He’s an artist and a worrier and he’s slowly coming to terms with his queer identity. Life at home can be volatile, as the boys’ father (Raúl Castill), while loving, has a dark temper and is prone to bouts of self-pity; their mother (Sheila Vand) yearns to escape. Throughout, Jonah cautiously observes it all, concerned for his brothers and wondering what his own future holds. 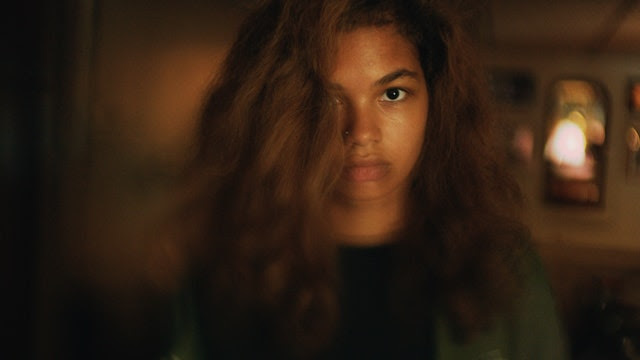 It’s hard to properly describe Josephine Decker’s Madeline Madeline. If I were to merely recount the plot—a troubled but brilliant girl gets deeply involved with a cult-like experimental theater troupe, much to the consternation of her mother—it would sound almost conventional, but it’s anything but. Instead, Decker combines dream-like imagery, improvisation, and even some elements of horror to create a thoroughly singular cinematic experience. Molly Parker, as the charismatic but exploitative director of the troupe, and Miranda July as the overly protective mother—they are presented as unwitting doppelgangers of each other—are both wonderful. But it’s newcomer Helena Howard, as Madeline, who gives an utterly mesmerizing, star-making performance. Jane and her boyfriend, Eugene (Eugene Kotlyarenko), are trying one last-ditch experiment to possibly save their relationship—they’re splitting up the apartment they share for the weekend (Eugene gets Saturday and Jane gets Sunday). The film starts from the perspective of Eugene, a self-styled weirdo who wears an elaborate man bun/combover hybrid that he calls the “floating toupee.” He immediately logs onto Tinder and tries, ineptly, to romance a series of women. Eugene calls himself a nice guy, and maybe he is, but his desperation to get laid comes off as creepy. Next we see things through the eyes of Jane, who is only marginally more appealing than her oddball beau. At least she seems to have some moderate talent as an artist—she decorated the couple’s aggressively quirky apartment (think Astroturf and baby doll heads). But she frets the whole film about whether or not she’s “basic” and is rather cruel to Eugene. Still, young audiences will recognize themselves and their friends and be amused. It’s hard not to laugh at these characters, but a little harder to care about them. 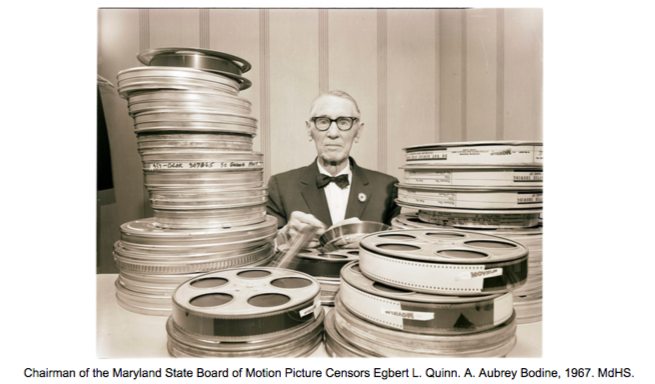 This stylish documentary, from local filmmaker Joe Tropea, chronicles the history of film censorship with a particularly close look at Maryland’s own censorship board, the longest-operating in the country. Of course, it was doubly ironic that Maryland, home of that infant terrible of cinema, John Waters, would have the most draconian such board, but it was kept alive by my many factors including one particularly colorful censor, Mary Avara, a true Baltimore character who made the national talk show rounds. You’ll learn a lot watchng this film—for example, it was progressives who were the first to call for film censorship, in the name of protecting children and serving the greater good (eventually, that ground was ceded to conservatives, and in particular, the Catholic church). And you’ll see that Marylanders were largely embarrassed by the censorship board, which literally cut the naughty bits out of films all the way up until 1981. Tropea keeps things lively by deploying a combination of talking head interviews (including film historians, theater owners, politicians, and Waters himself), old film and TV footage, original illustrations, and the kind of kitschy tableaus of documents, pens, and clippings that would make Wes Anderson proud. In the end, the censorship board was shuttered due to indifference more than anything else.